ილია ცინაძე საქართველოში დაიბადა, ხოლო როდესაც 8 წლის იყო, ოჯახთან ერთად საცხოვრებლად აშშ-ში გადავიდა. მას შემდეგ ილიას ქართულ კულტურუსთან და განსაკუთრებით ქართულ მუსიკასთან კავშირი არ გაუწყვიტავს. ილია 13 წლის იყო, როდესაც მშობლებმა პირველი გიტარა უყიდეს. სკოლის დამთავრების შემდეგ მან სწავლა უილიამ პეტერსონის უნივერსიტეტში განაგრძო, სადაც იგი ჯაზს სწავლობდა. ცინაძე საქართველოს 2005 წელს ეწვია, სადაც მან თავის მუსიკალური მემკვიდრეობა აღმოაჩინა, იგი შეხვდა რამდენიმე მუსიკოსს და გადაწყვიტა ქართული სიმღერა შეესწავლა. ილიამ, ოჯახისა და მეგობრების დახმარებით თავი მოუყარა რამდენიმე ისტორიასა თუ სიმღერას და გადაწყვიტა ისინი ამერიკელი პუბლიკისთვის გაეცნო. ილიამ შექმნა ბენდი, რომელიც ექვსი წევრისგან შედგება, ესენი არიან: რიჩი ბარშეი (დრამი), ქრის თორდინი (კონტრაბასი), რობ ჰექთი (ვიოლინო), ლიამ რობინსონი (აკორდეონი) და ვოკალისტი – ჯინ რო. ამჟამად ისინი თავიანთ პირველ პროექტზე – დედა ენაზე მუშაობენ, ამ ალბომში 8 ტრადიციული ქართული და ილიას მიერ დაწერილი 2 სიმღერა შევა. Ilusha Tsinadze was born in Georgia. When he was 8 years old he and his family moved to USA. Since then Ilusha has maintained strong ties with Georgian culture, especially Georgian music. Tsinadze was 13 years old when parents bought him his first guitar, and that’s when his journey began. After a graduation from high school Ilusha was accepted to William Paterson University, where he studied jazz. In 2005 Tsinadze visited Georgia and discovered his musical heritage. He met several musicians in Georgia and decided to learn some of the songs. Ilusha began to collect stories and songs from his relatives and became inspired to share Georgian music with an American audience. 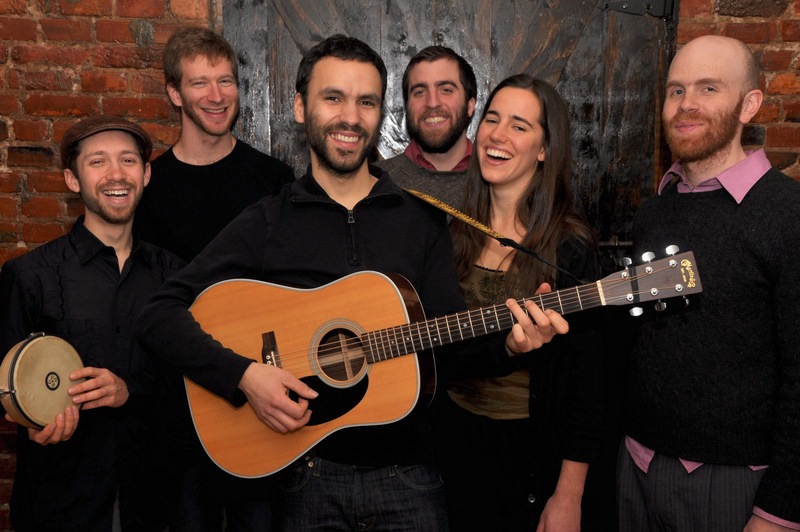 Ilusha Tsinadze created a band that features Richie Barshay (drums), Chris Tordini (bass), Rob Hecht (violin and bass clarinet), Liam Robinson (accordion), and guest vocalist Jean Rohe (Ilusha’s girlfriend). Currently they’re working on their first project called Mother Tongue (Deda Ena). The album will feature 8 Georgian traditional songs and 2 of Ilusha’s own compositions.